Car Insurance Quotes in South Africa have become the standard way in which consumers are able to save on the car insurance. In the case of Insurance Companies and their competitive nature, getting car insurance quotes in South Africa has lead to an enormous saving for the average consumer, in some cases the savings are in excess of 45%. 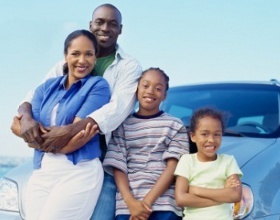 Car insurance Quotes is a must do process in South Africa, our customers save on average 32% on the car insurance. What getting car insurance quotes in South Africa has lead to in effect is that consumers MUST get car insurance quotes or the chances are you will be paying too much. Consider this for a moment: You are forced to squeeze your margins due to the competitive nature of business and the fact that consumers in the insurance space are becoming more savvy. You now get a call from someone who is not comparing car insurance quotes but simply wants his car covered. Are you going to give him a deal with only a small margin? I think not! By electing to get car insurance quotes in South Africa, you are effectively notifying the insurance companies that will be preparing the quotes that you are looking for the best car insurance available and by using our insurance quotes system, you will be offered quotes from the various different insurance companies at rates that are the best they have to offer. You are then able to either tell the agent to renegotiate with the insurance company (which we do recommend – There is always a little room to move if they are competing closely) asking them to reduce their rate. There is absolutely nothing wrong with this practice, people all too often just accept what they are offered so that their car is covered. Getting car insurance quotes in South Africa is a negotiation process that you should be taking advantage of. Once you are satisfied with the quote you have received (if any of them) you are able to have your car covered by the time you put down the telephone. All that you will be required to do is take the car for an inspection, normally at a glass fitment center to verify that your engine number is correct, the car is what you described (don’t take this personally, I thought my car was a 2008 model when in fact it was a 2007 which reduced the premium slightly), that there are no dents or chips on the windows etc. Once you have completed this process, your car insurance policy documents are produced and you are done, covered, saving money and putting your savings to better use. Don’t accept the first quote, in South Africa, every insurance company wants you as a customer!